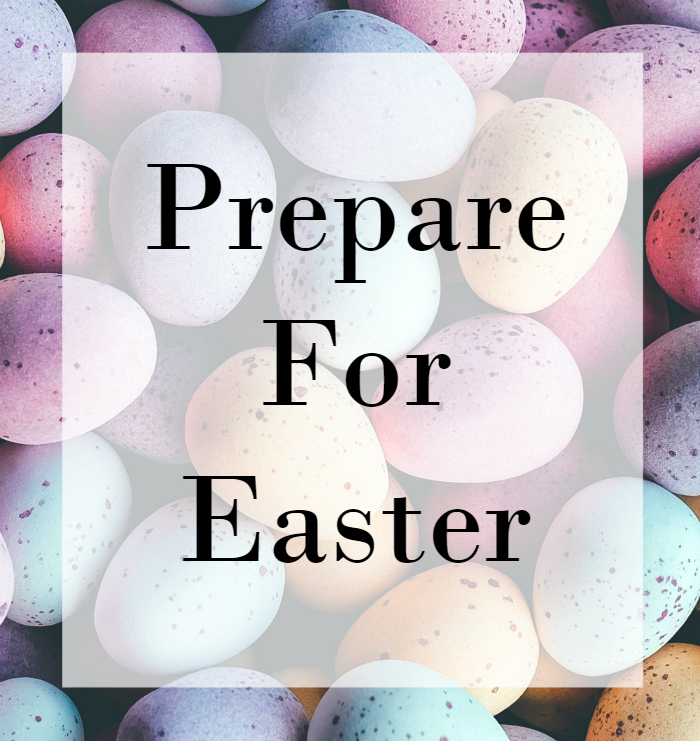 Prepare For Easter - Nisbets Australia Blog - Industry news, trends, recipes and more! Easter is a very family-orientated holiday. Which means it’s the perfect opportunity for your business to bring in more revenue. Easter takes places on Good Friday to Easter Monday (April 14th-17th 2017), with the main celebrations taking place on Sunday. Keep your plan of action simple on Friday and Saturday. While there will be people celebrating on these two days, many others will be waiting until Sunday to celebrate. But if you are thinking about doing something for Good Friday, why not offer a special menu based around fish? It’s tradition for some to avoid meat on this day, so fish is a great alternative. Now, Easter Sunday is where you need to roll out the red carpet for your customers. This is the day that needs the most preparation. Have a think about what you want your restaurant to serve, along with our guidance for having the best Easter Sunday in your business. Use Pavement Boards and also start advertising to encourage more custom. Keep tabs on the number of customers that walk through your door to ensure you have enough food, drink and staff for the day. For your Easter Sunday lunch, lamb is the meat of tradition, as it has been for many centuries. Using the Waring Blender blend fresh garlic, rosemary, salt and pepper and a touch of oil into a smooth paste. Use this mixture to marinate the lamb, cooking until tender and delicious. Your potatoes and vegetables should be as fresh and delectable as the meat. For the potatoes, a mustard glaze pairs really well with lamb. Or even a classic option like garlic and herbs works just as well. Vegetables should also be fresh and crisp. Asparagus, carrots, green beans and broccoli are a great selection to offer. The bright, vibrant colours will look great on some contrasting plates – click here to see our crockery selection. For an extra dimension of taste and texture throughout, grill the carrots and asparagus. To cater for various customer specifications, include other meat options, alongside a vegetarian choice. Placing glazed ham and seasoned chicken on the menu means your customers have a choice. You can also marinade the chicken with the same mixture as the lamb. Including a vegetarian dish means non-meat eating customers are able to enjoy an Easter lunch too. A frittata is a delicious dish that your customers will really enjoy. It’s also very simple to make. You can make the frittata with the vegetables and potatoes already on your menu, reducing your need to source extra ingredients. As hot cross buns are a traditional Easter food, offering them as a dessert is a great treat your customers will enjoy. This Chocolate Hot Cross Bun Butter Pudding recipe is delicious and not too heavy on the stomach – ideal to eat after such a hearty and filling lunch. It’s not Easter without chocolate. So it only makes sense to add chocolate to your menu. This Chocolate Tart recipe is great for tantalising customers’ taste buds. It’s light, velvety and not too rich. Ensure you decorate with chocolate eggs for an Easter touch. Place a dollop of extra thick cream alongside to complete. Your drinks menu is another great way to upsell your customers this Easter. Offer red wine with lamb and make sure you recommend a red which is thin in consistency such as pinot noir. Its fruity and vibrant taste works beautifully alongside the richness of the lamb. For something a little lighter, try this Apple Knocker recipe. As it’s simple to make, it means your staff can make it quickly and efficiently. Perfect for when your restaurant gets busy. Dessert cocktails are great for customers who are searching for a sweet treat after dinner. This Crème Egg Cocktail, served in an elegant martini glass, is perfect for customers looking for something lighter than a dessert. Offering activities will draw in the bookings on Easter Sunday. Your customers will be able to enjoy a delicious lunch whilst their children are entertained and having fun. An Easter egg hunt is a classic Easter activity which children love. If you have an outside area, put it to good use. Hide plastic bunnies or eggs around your premises, then, once collected, reward the treasure hunters with chocolate treats. If you don’t have any outside space, then section off a small area to cater for the hunt. You can then use this area for other activities too. Another great activity is painting and decorating, in particular Easter bonnets and cardboard eggs. Getting the kids to partake in these activities allows the adults to have some time to relax and enjoy their drinks. Plus, these craft activities will mean kids have something to take home. And, if you really want to impress your customers, a face painter is always good to hire. It’s something children love, and again will allow parents to have some time away from their children. Easter is a great time to increase revenue. As many families love to dine out and take the stress of cooking off their shoulders, this is where you come in. Preparing well will ensure maximum profit and allow the day to run as smooth as possible.